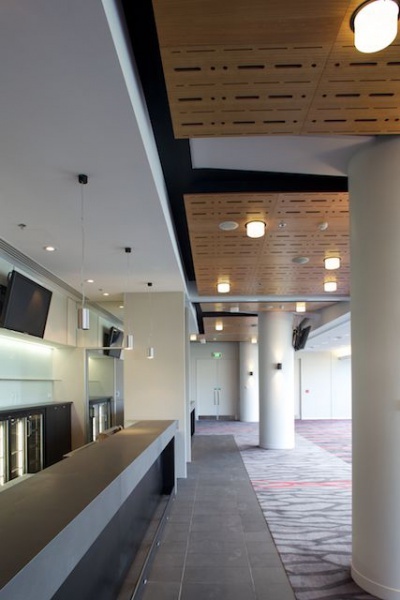 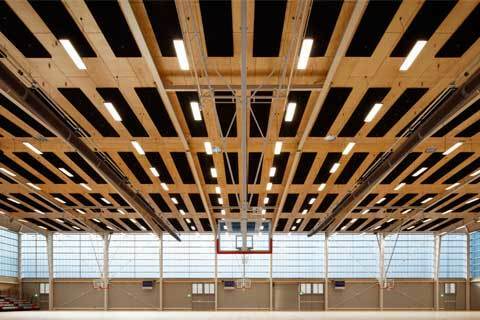 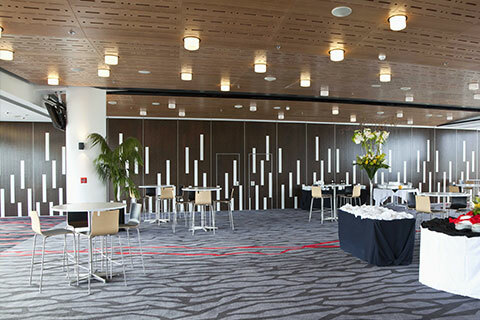 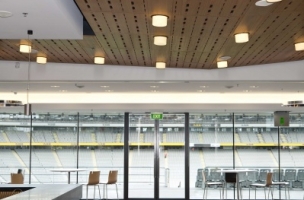 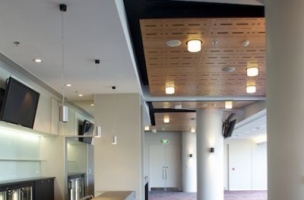 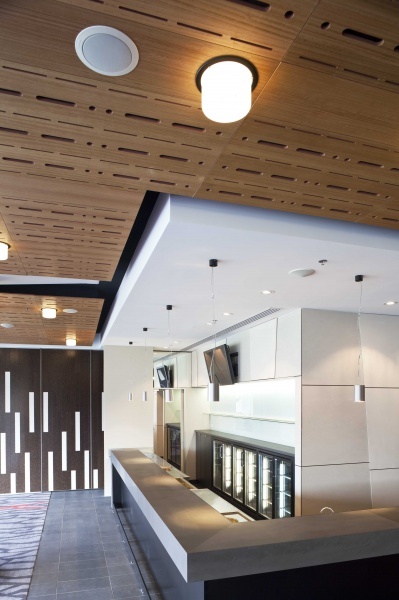 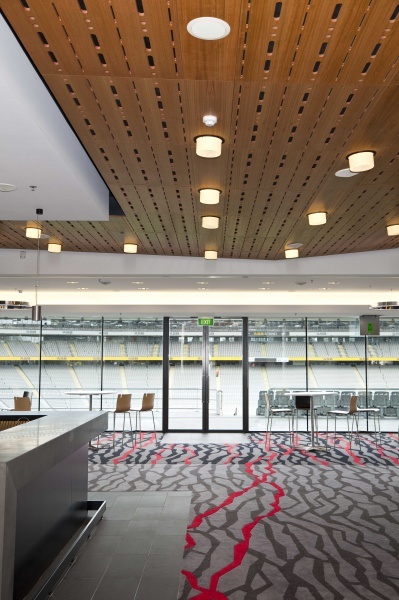 Acoustics were vital in the food and beverage areas of Eden Park Sports Stadium as were the surface spread of flame fire requirements. 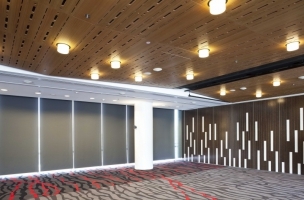 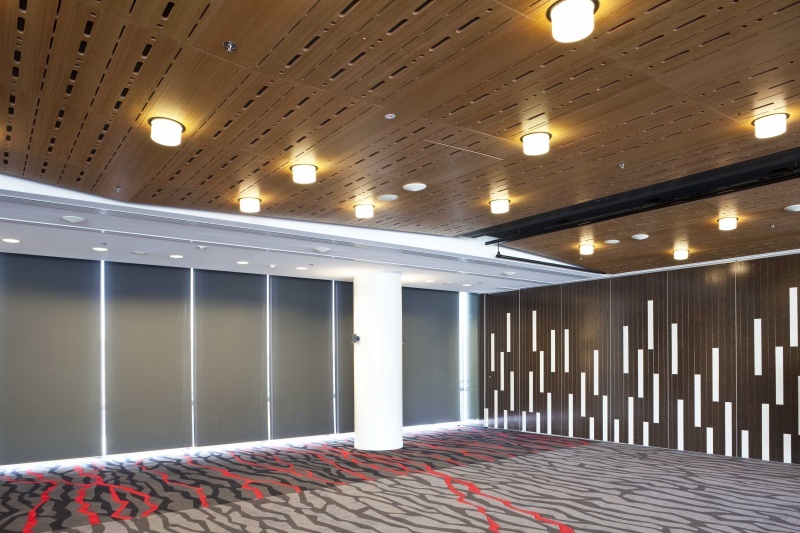 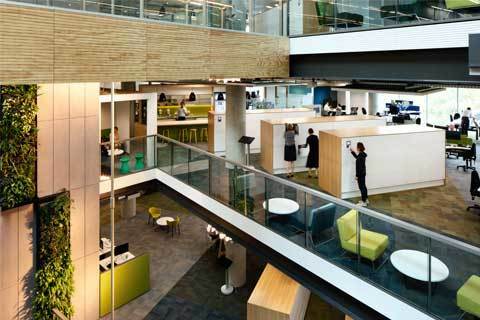 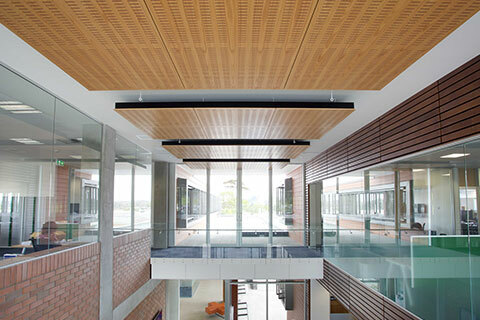 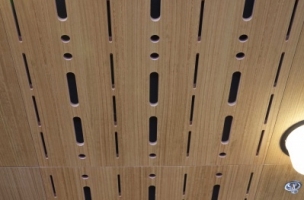 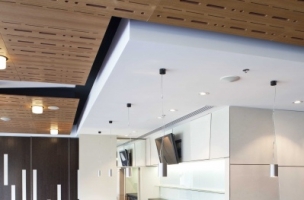 These needs were combined in the Décortech panels made from Firesafe MDF to give an SFI-0 and SDI-5 and perforated with a custom holes and slots pattern to achieve the open area for the acoustic performance required. 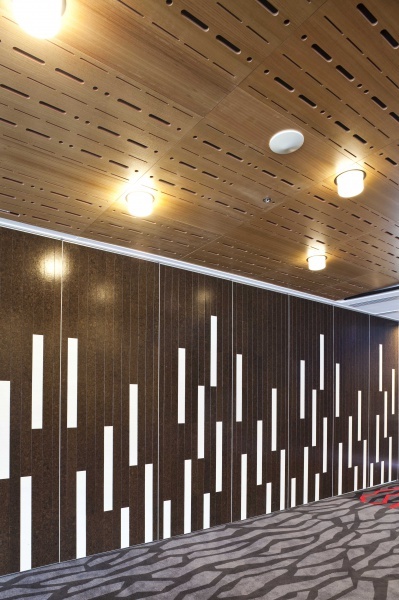 Tasmanian Oak veneer brings a richness to the panels and the warmth of a real wood grain. 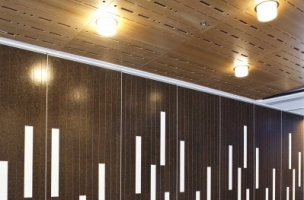 All panels were supplied prefinished with Décortech factory applied clear satin finish with Decoustic 85 felt bonded to the back of the panel to increase the acoustic performance. 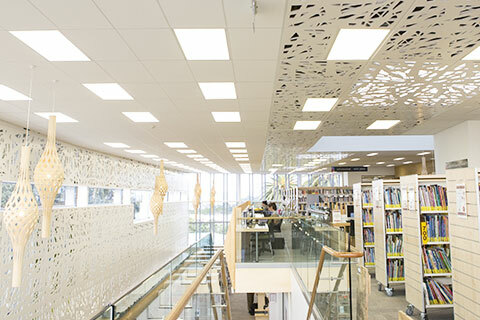 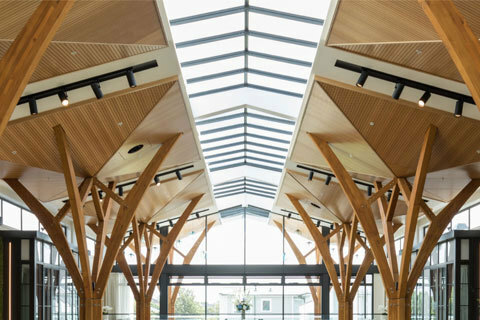 Light and service penetrations were also factory cut by Décortech to allow for easier installation and meaning fully finished panels were delivered to site. 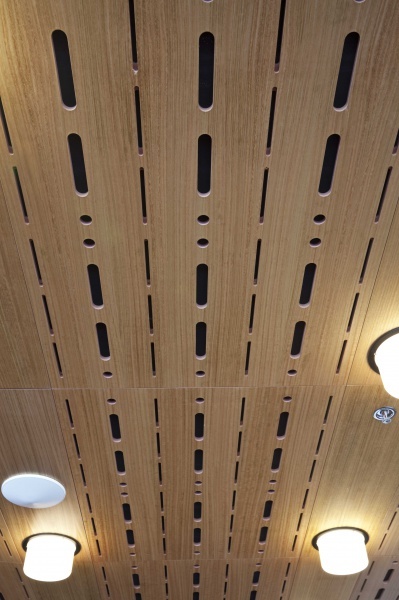 The perforations were stopped on the panels that required lights and service cut outs leaving a clean consistent look for them.